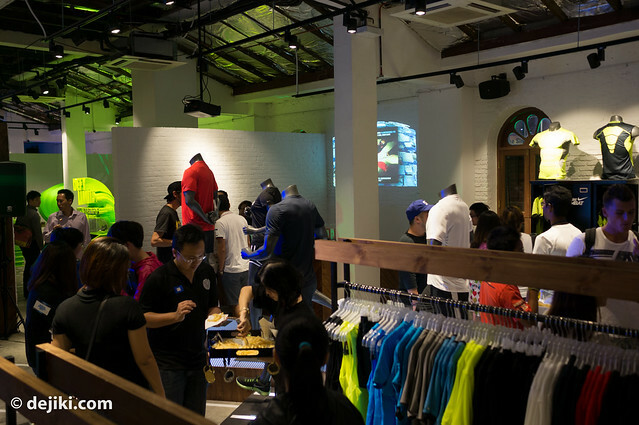 Inspiration meets Innovation at Nike+ Innovation Space at Peranakan Place, Orchard Road. 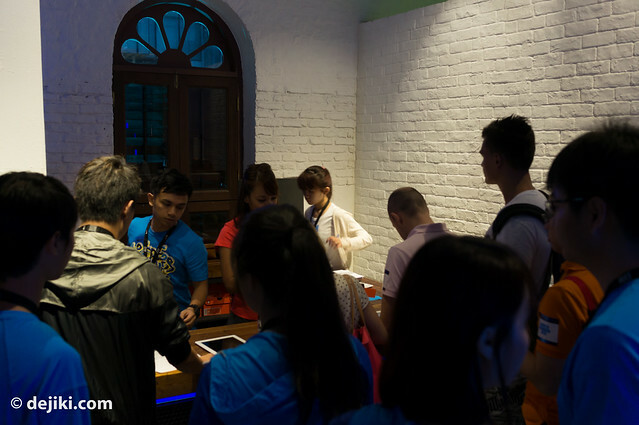 From now to 12 August 2012, visit the concept store at the second level of the Peranakan Place Complex. 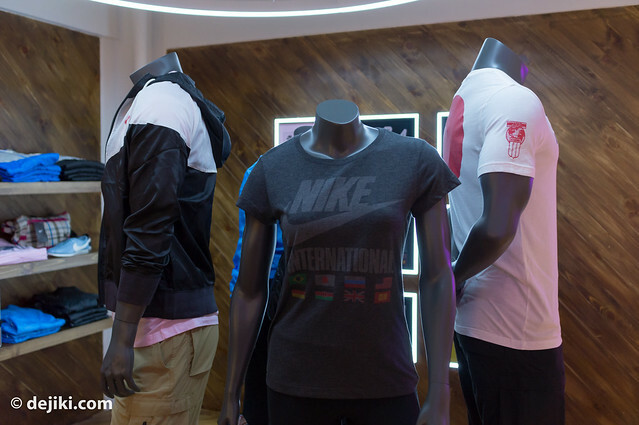 With the makings of a flagship boutique, the store combines a themed retail experience with showcases and hands-on (or shoes-on) demonstrations. I’m surprised that the Innovation Space will only be there for less than a month! 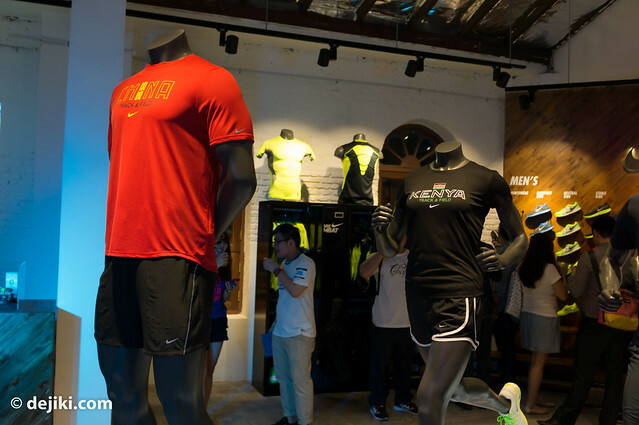 I thought it’ll be a cool venue to launch the Nike+ Fuelband but unfortunately there is no definite timeline to launch the Fuelband here. Lift doors open to this vibrant Lunarglide+ 4 display. 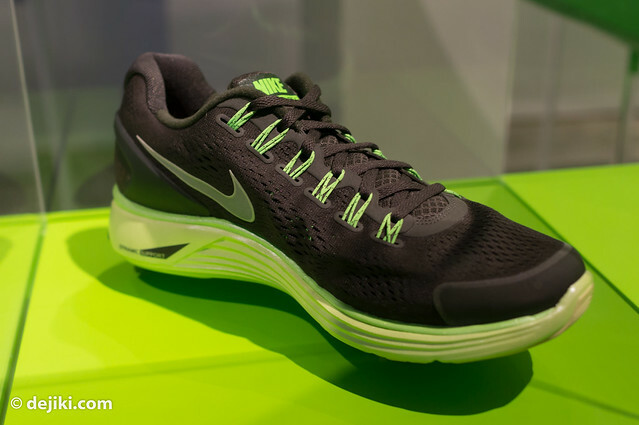 The green Lunarglide+ 4! The biggest change would be a larger ratio of soft foam core. 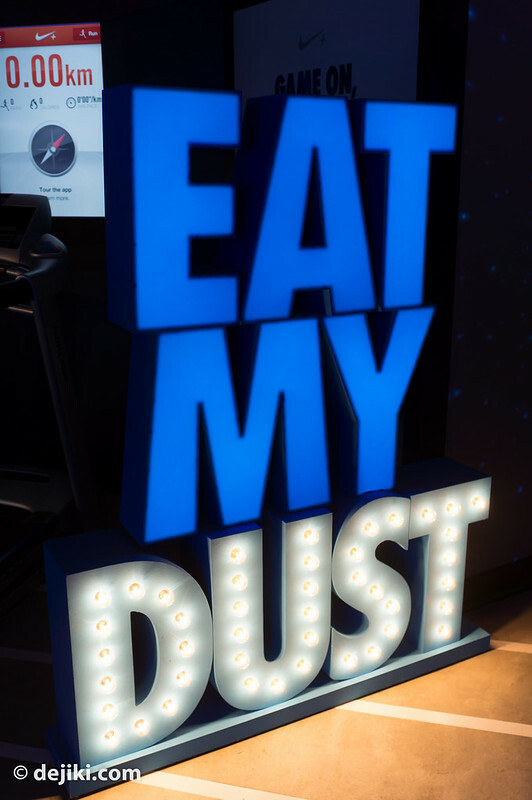 It is no longer just an insert. Notice how there’s two types of foam outside: lime green [hard] and neon green [soft]. The new Flywire ditched the single piece design and is constructed with separate cords now. 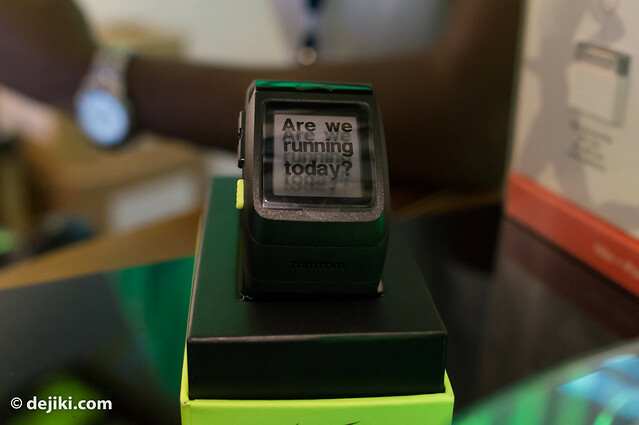 The next best thing to the Nike+ Fuelband if you run often would be the SportWatch GPS ($279) which comes with a shoe sensor. 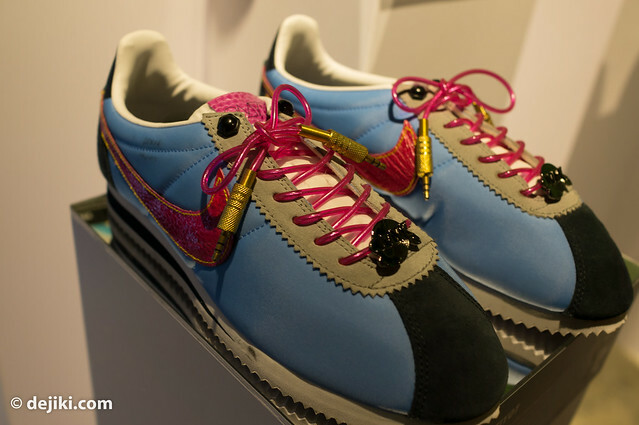 You will need a compatible pair of shoes. 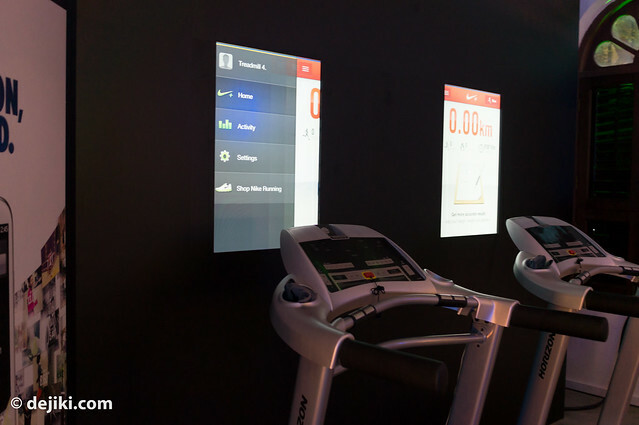 It’s of course, a different product from the Fuelband, tracking different types of data. Some people actually use both products at the same time. 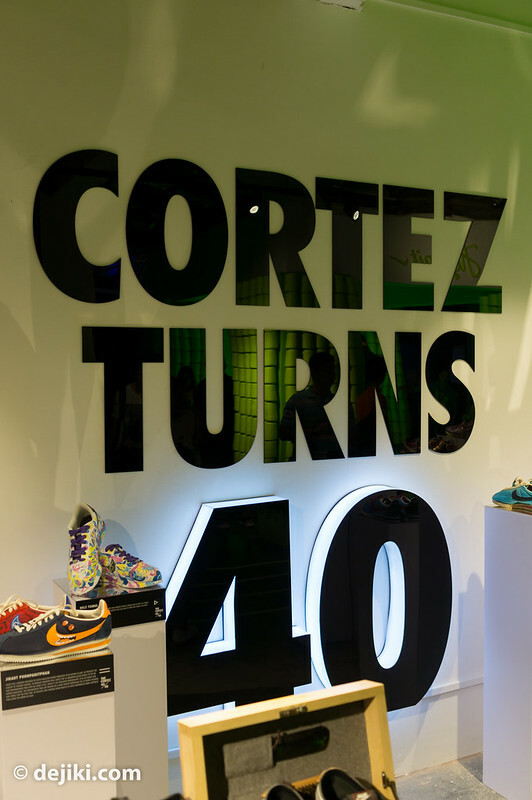 To celebrate the 40 years of Cortez, there is an artist showcase at the Innovation Space. 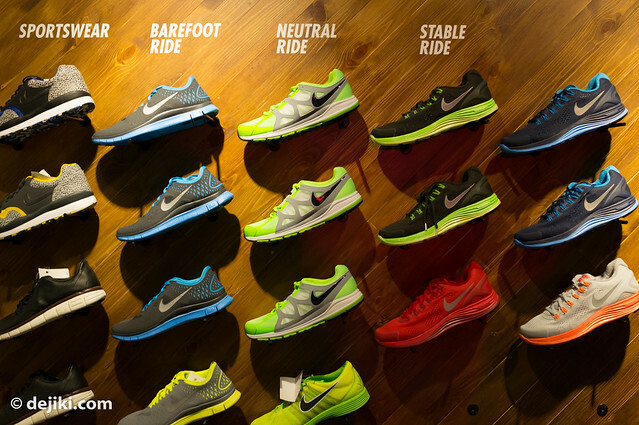 The store has a few threadmills for anyone to try the Lunarglide+ 4. Each trial lasts for 3 minutes. Lots of people signing up for the trials! But there’s a good reason behind it. 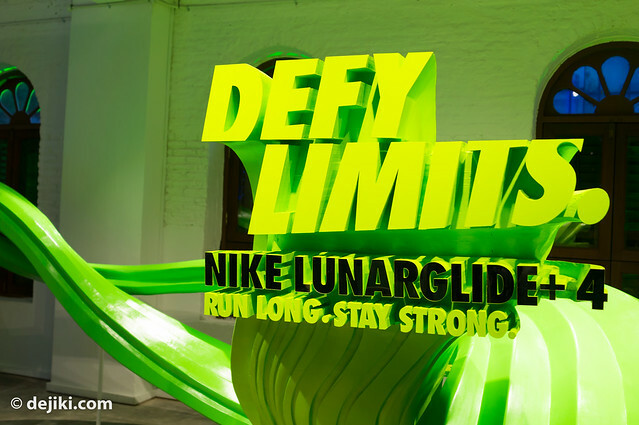 It’s not just about trying out a nice pair of Lunarglide+ 4, but for a good cause. 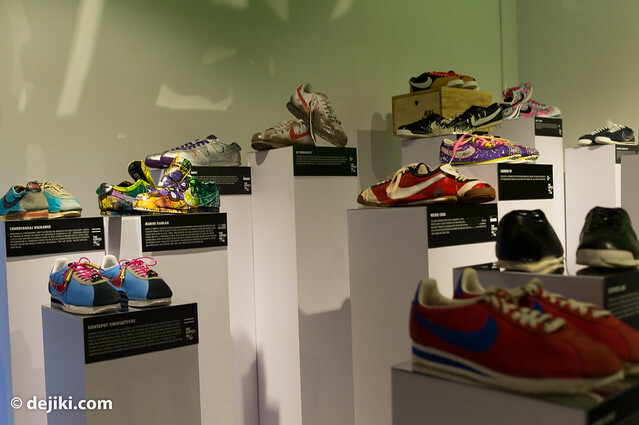 Nike will donate a pair of shoes to the youths at AG Home for every 20km synced to Nike+ (at the launch party, it was every 1km). 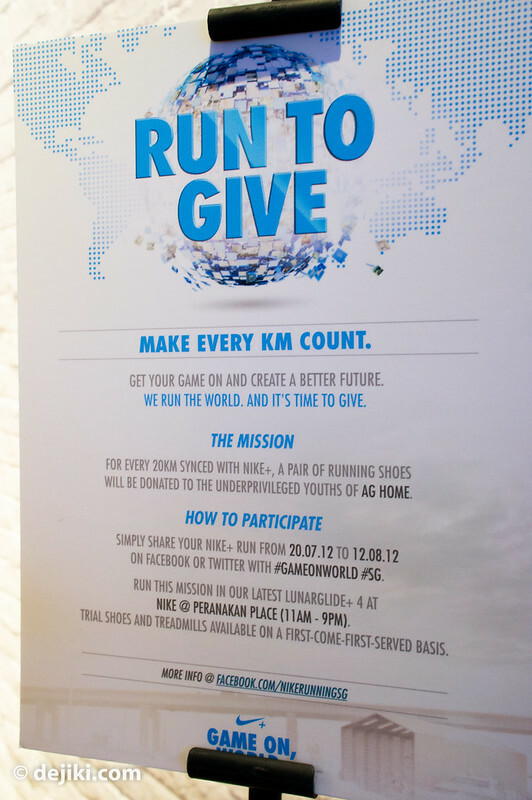 The Run To Give mission is available from now till 12 August. 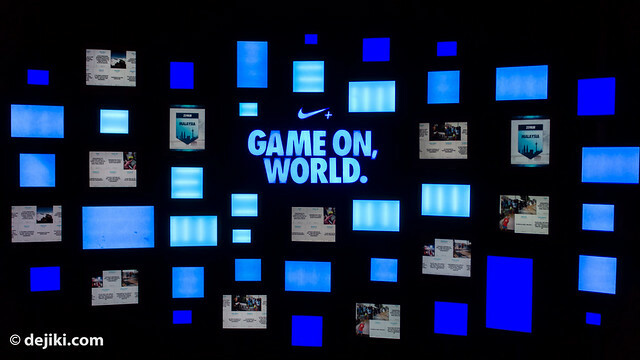 You don’t need to do it in the store but any runs synced to Nike+ (and shared online according to the instructions above) will contribute to the good cause. 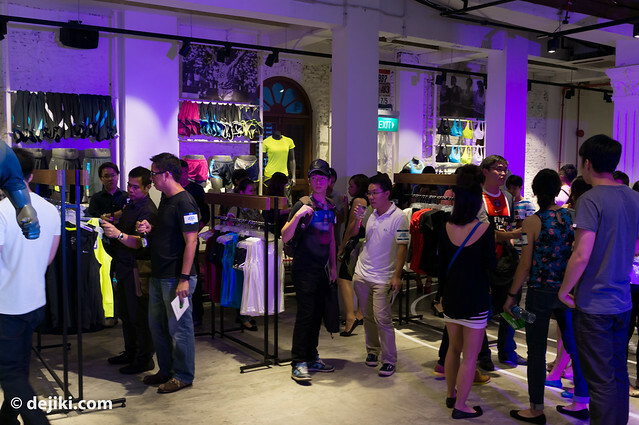 Why are they not launching the Fuelbands here btw? Just seems a little strange when I think most Singaporeans would be interested in it lol.